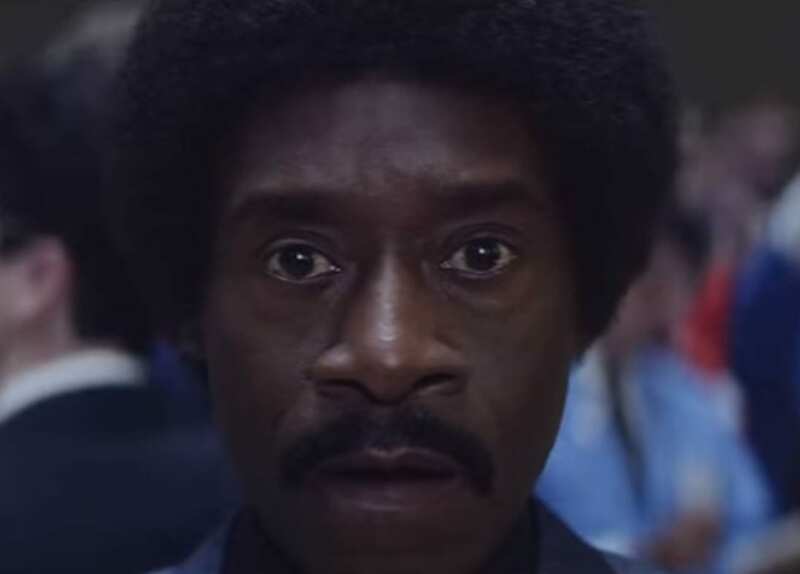 “Black Monday,” a new comedy series starring CalArts alum Don Cheadle (Theater BFA 86) along with Andrew Rannells and Regina Hall, will premiere Sunday, Jan. 20, on Showtime. The 10-episode series was created by David Caspe of “Happy Endings” and Jordan Cahan, who worked with Caspe on NBC’s “Marry Me,” and was executive produced by Seth Rogen and Evan Goldberg. The story, which is set in the year leading up to the 1987 stock market crash, follows Cheadle’s character, Maurice “Mo” Monroe, who helms The Jammer Group, an outsider trading company on Wall Street. In the spirit of the cocaine-fueled ‘80s, Mo is determined to take on the old-boys club of Wall Street, employing a number of unethical means to do so. Consequently, it’s Mo’s unscrupulous maneuvers that result in a reimagining of what caused the worst stock market crash in history (aka “Black Monday”). Academy Award-nominated actor Cheadle is known for iconic roles on the big screen such as Paul Rusesabagina in “Hotel Rwanda” (2004) and as jazz legend Miles Davis in the biopic “Miles Ahead” (2015), which he also directed. Cheadle is also globally recognized for his recurring role of War Machine in the Marvel Cinematic Universe. “Black Monday” marks the actor’s return to television since he played Marty Kaan on Showtime’s “House of Lies” (2012-2016). Viewers who would like to dive into “Black Monday” ahead of its Jan. 20 cable premiere can stream the first episode on Showtime’s website.